an experienced person who advises and helps somebody with less experience over a period of time. Couple of days ago I was privileged to sit in a mentoring class with my mentor, a Leader, Entrepreneur, Man of God and Teacher of teachers. It was a class that had in attendance a group of other attendees and I had to pinch myself for not being able to attend all the previous ones. A mentor as defined above in the Oxford dictionary is an "an experienced person who advises and helps somebody with less experience over a period of time". 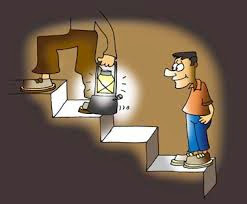 I believe a mentor is a shining light and guide. A proper counsel from a mentor can save you loss of unnecessary resources, this resources might be money, time or even effort. I learnt so much I wouldn't try to rush it in one article. Some things were new while some were reminders, However, nothing is as important as carefully distilled truth and wisdom at the right time from someone who has been there. A mentor is a teacher who involves you in your learning and development and truly he is one good teacher that cannot be substituted with a good book. Mentoring is instrumental to success in any field, even Newton had to sit on the shoulders of other giants. I still haven't fully recovered from the amazing lessons learnt from the last session yet I look forward to the next sessions that will last for some week, when I hopefully make it into the programme with the selected few.